Is your server delivering poor performance with the existing processor? 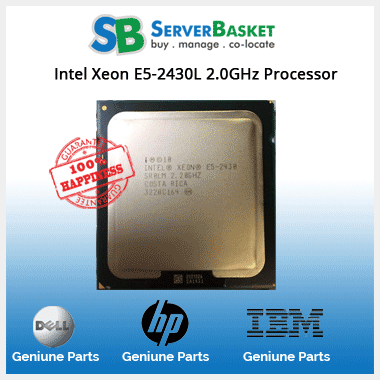 Then it’s the right time to upgrade your old server with the high-end Dell Intel Xeon X5680 processor. It is six core processor with 12 MB smart L3 cache, clocked at the speed of 3.33GHz and 6.4GT Westmere. 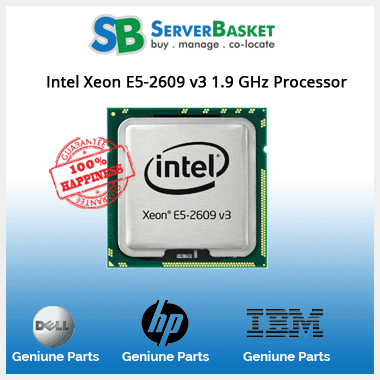 Purchase the Dell Intel Xeon X5680 CPUs from Server Basket for a very economical cost and gain the best performance from the system. In addition to the low-cost price, you also get 90-days warranty and Quick Delivery across India. Dell Intel Xeon X5680 processor can stick to your system for a really long time with zero issues. The processor is powered by six cores and twelve threads. While having the base frequency of up to 3.33GHz and a turbo frequency of up to 3.60GHz, this processor speeds up the performance in completing the tasks sooner efficiently. It comes with 12 MB smart cache, 6.4 GT/s QPI of bus speed, 2 QPI links, and 130W TDP. With up to 288 GB of maximum memory capacity supporting DDR3 800/1066/1333 memory type with three memory channels and 32 GB/s of maximum memory bandwidth, the Intel Xeon X5680 processor can compute diverse workloads with ease. This processor never fails to deliver the best performance even under the heavy workload pressure. 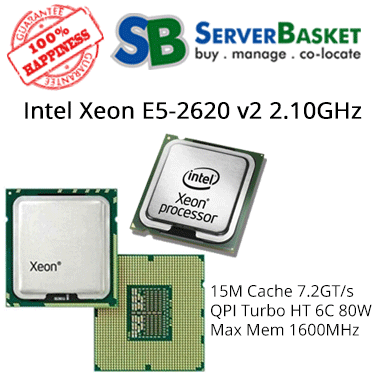 The latest Intel Xeon X5680 processor supports hyper-threading technology (Intel HT technology). This technology helps in delivering at least two processing threads per a single core, and this allows the highly-threaded applications to get the work done in parallel while completing the tasks faster. 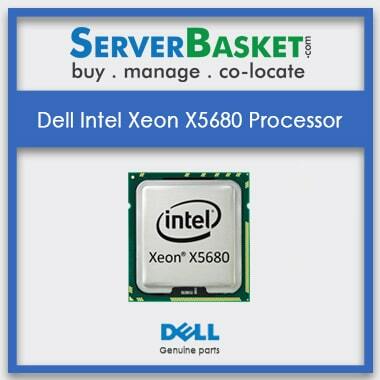 The Intel’s Xeon X5680 processor is compatible with all the Dell 10 series servers. Why late? Upgrade your old Dell server with the blazingly fast and secured Xeon processor to match your business requirements. Some of the Dell servers that are compatible with this processor are the Dell PowerEdge R610, R710, T610, T710, M610, M610x, M710 and Dell Power Vault NX3000, etc. The Intel Xeon X5680 processor supports multiple advanced technologies that help in empowering the processor’s frequency, system performance, and speed improves security, enhances reliability and helps in secured and easy virtualization of the system. Some of the supported technologies are Intel turbo technology, enhanced Intel Speed-Step technology, Intel Demand Based Switching, Intel hyper-threading technology, and Intel virtualization technology, etc. The Intel virtualization technology and Intel virtualization technology for directed I/O helps in supporting virtualization happens with ease. These technologies allow a single hardware platform to function as various virtual platforms and also ensures security and reliability of the system and improves performance in the virtualized environments for I/O devices. As soon as the order is confirmed, we at Server Basket make sure that your package is packed ready to step out for the delivery. We ship your package to any location in India including Bangalore, Chennai, Mumbai, Hyderabad, Kolkata, New Delhi, Coimbatore, Ahmedabad, Agra, Indore, Noida, Pune etc. And to all the remotest areas too. We do not take more than 2-3 days to deliver the product and always try to deliver within the estimated delivery date. 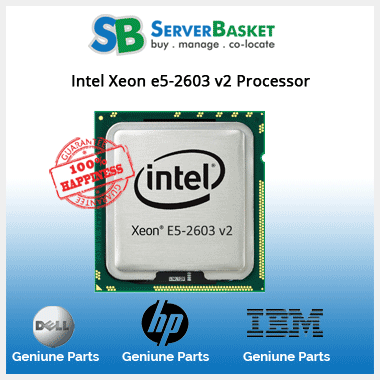 Avail the Dell Xeon X5680 processor from Server Basket for the lowest possible market price. You can compare and cross check with the other online stores before making final decision. 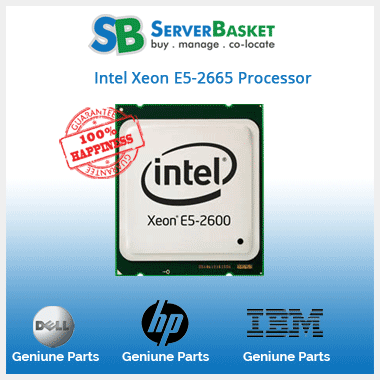 Server Basket is always known for its valued discount price offers and guaranteed products. Invest less on this powerful processor and upgrade your server to gain utmost performance levels. 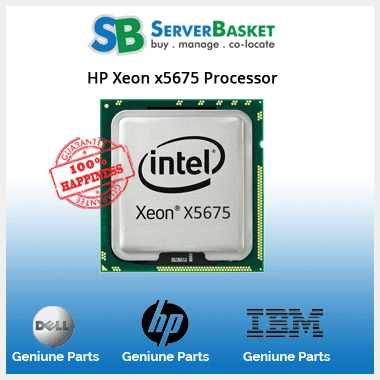 In case of the damage or failure of the Intel X5680 processor, you get immediate replacement services from Server Basket. We are providing you with 90-days assured warranty services and provide prompt support as soon as the issue is brought to our concern under the warranty period. You can make use of the warranty card anytime from the date of purchase to until its validity.